Heat oven to 375°F. Bake biscuits as directed on bag. Meanwhile, in medium bowl, beat cream cheese on medium speed until smooth. Beat in whipping cream, 1 tablespoon sugar and the almond extract. Gently fold in raspberries. Refrigerate until serving time. 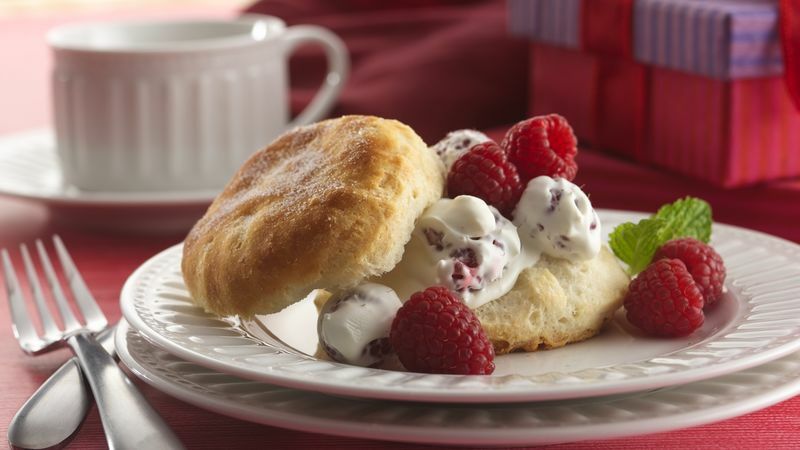 Brush tops and sides of hot biscuits with butter; sprinkle with 1 teaspoon sugar. Cool 5 minutes. Split biscuits; fill with cream cheese mixture. If desired, garnish with additional raspberries.